For the expanded version, see Super Street Fighter IV: Arcade Edition. Super Street Fighter IV (スーパーストリートファイター IV, Sūpā Sutorīto Faitā Fō?) is a 2010 fighting game produced by Capcom. It is an updated version of Street Fighter IV and has been said to mark the definitive end of the fourth installment of the Street Fighter series. Having been deemed as too large an update to be deployed as DLC, the game was made into a stand-alone title, but given a lower price than that of a full retail game. It was released on April 27, 2010 in North America, April 28, 2010 in Japan, and April 30, 2010 in Europe. Super Street Fighter IV adds ten characters to the original character roster from Street Fighter IV, featuring eight characters from previous Street Fighter games, as well as two fighters who are brand new to the series. The first, Juri, is a young South Korean woman who works for Seth's organization, S.I.N., and uses Taekwondo as her fighting style along with an energy-boosting device implanted inside her left eye called the "Feng Shui Engine". The second, Hakan, is a fighter from Turkey who fights by covering himself in oil, allowing him to slide around and use slippery grapples on his opponents. Other characters include T. Hawk and Dee Jay from Super Street Fighter II, Adon from the original Street Fighter, Cody and Guy from Final Fight and Dudley, Makoto and Ibuki from Street Fighter III. 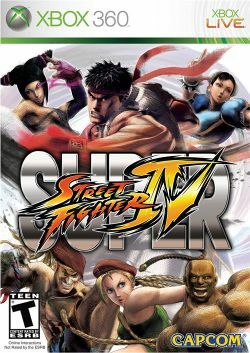 On February 26, 2011, a ported version of the game was released for the Nintendo 3DS titled, Super Street Fighter IV: 3D Edition. This version of the game allows for different perspectives while fighting, WiFi multiplayer, and programmable hotkey combos. This page was last edited on 8 May 2012, at 17:52.